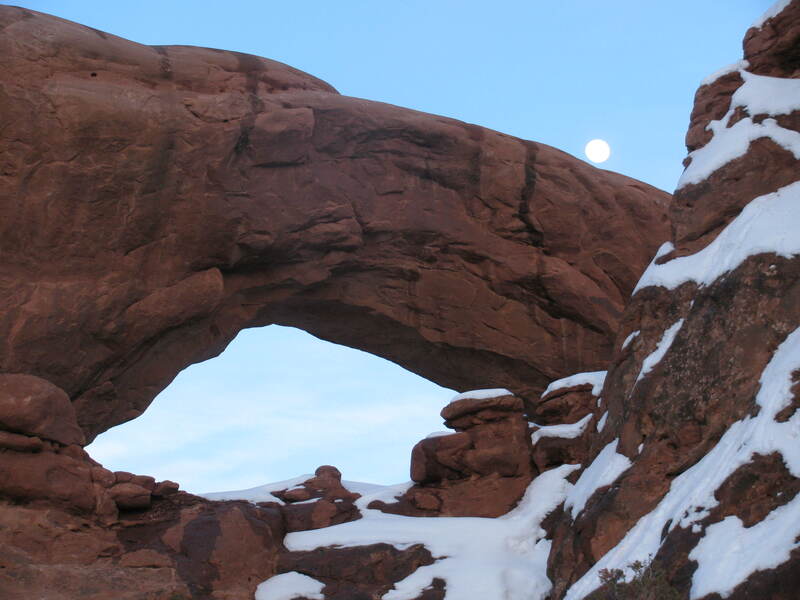 Drove up to the Windows section; the arches run north-south and are therefore lovely at both sunrise and sunset. Having never experienced the desert in wet conditions, I must report that OSHA would not be happy. 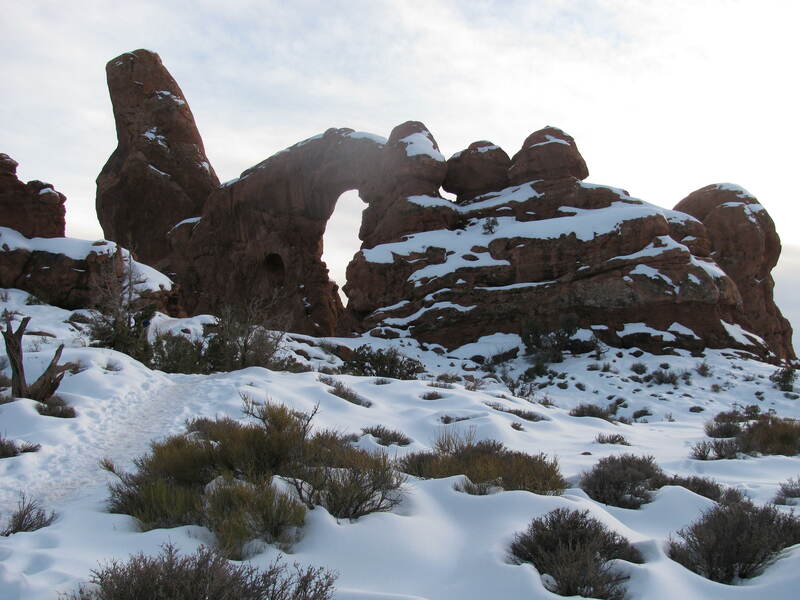 Trails are ice- and snow-covered, with intermittent muddy spots. (Note: “muddy” is different from Minnesota mud. This is red gritty mud.) Only Kathryn a fool would try climbing on icy slickrock.